Hello here! It’s been a long time, a good long vacation has done me good and I’m excited about this blog post. 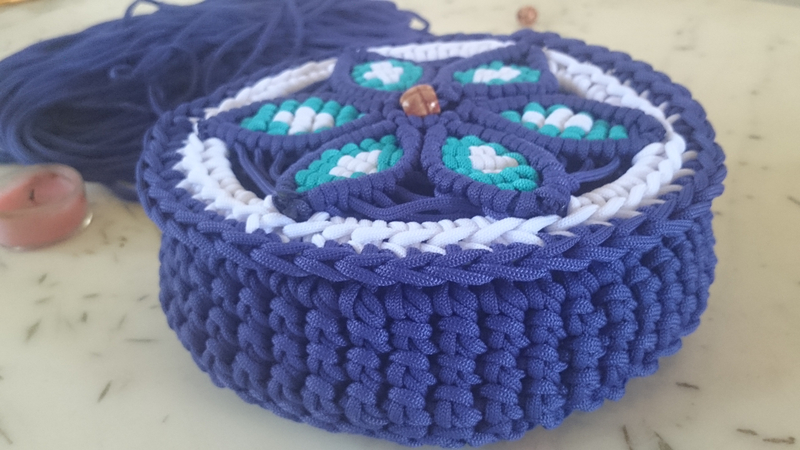 I’ve learnt a bit of macrame as you can see from this cute little chest. 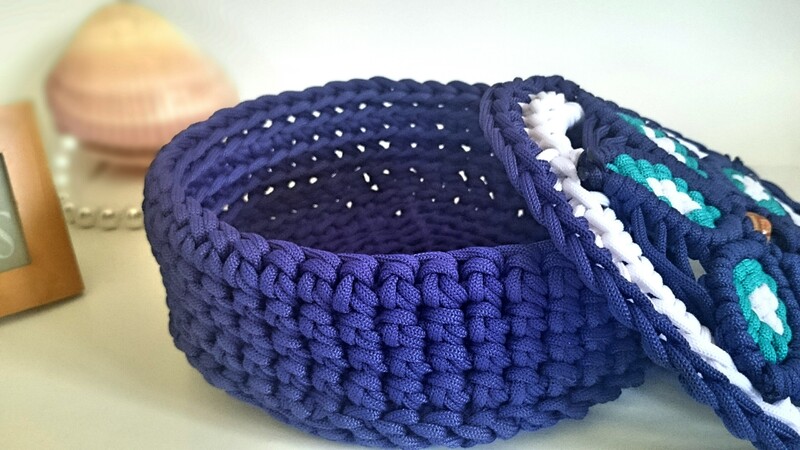 I’m sure you can make the basket by yourself if you know how to crochet. 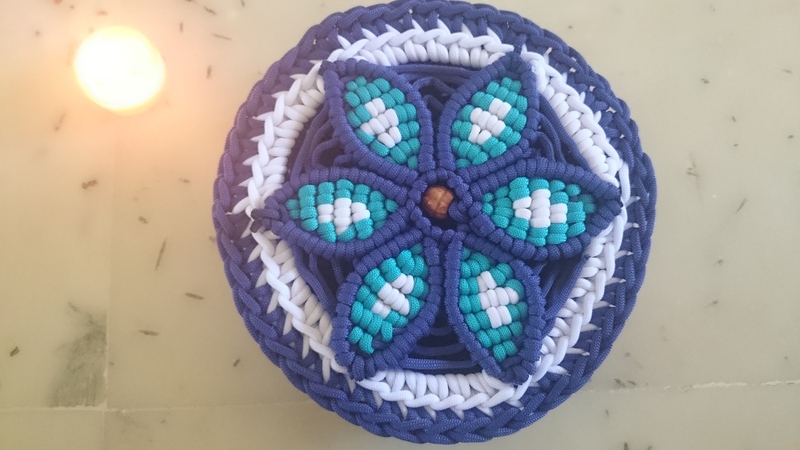 The tricky part is its lid and some instructions might do you good. 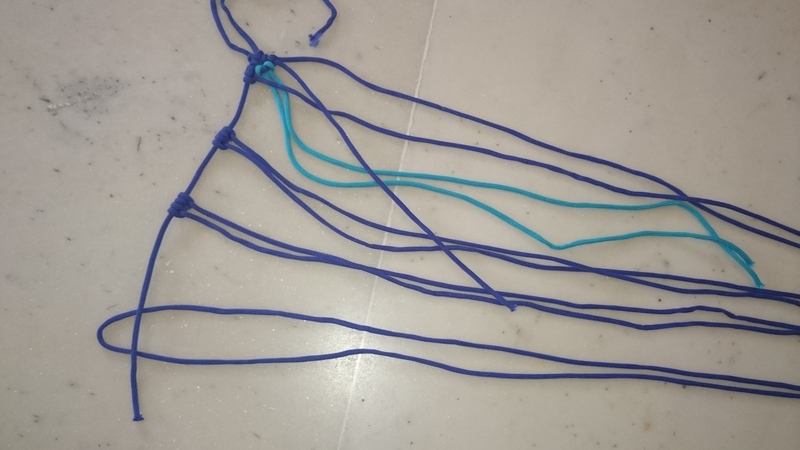 Use the 1 dark blue cord (30 cms)[a] as the base thread. 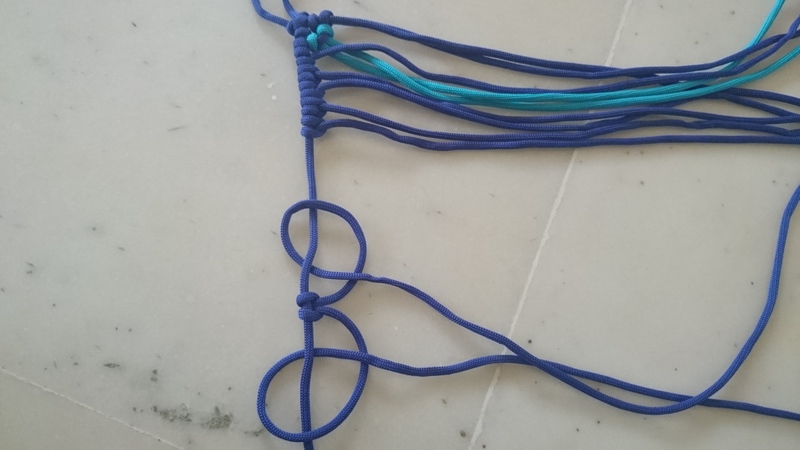 Make a larks head knot using 1 of the 6 dark blue cord (60 cms)[b] to the base thread. 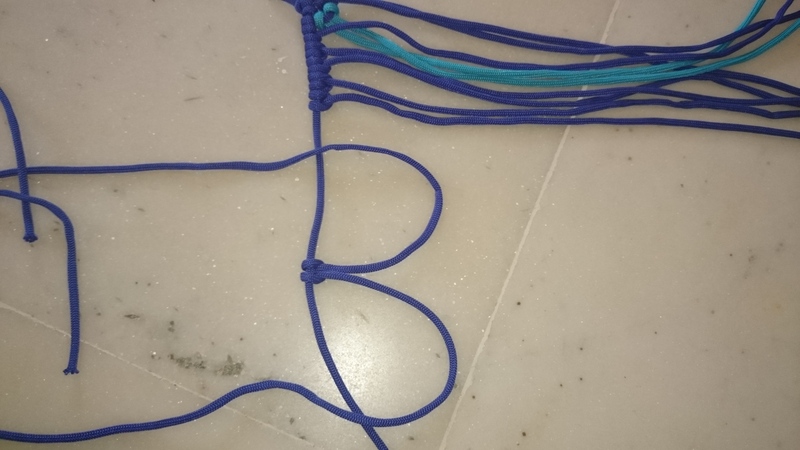 Then make a larks head knot(twice) using 1 of the 4 dark blue cord (250 cms)[c] onto the left hand side tail of the previous cord. 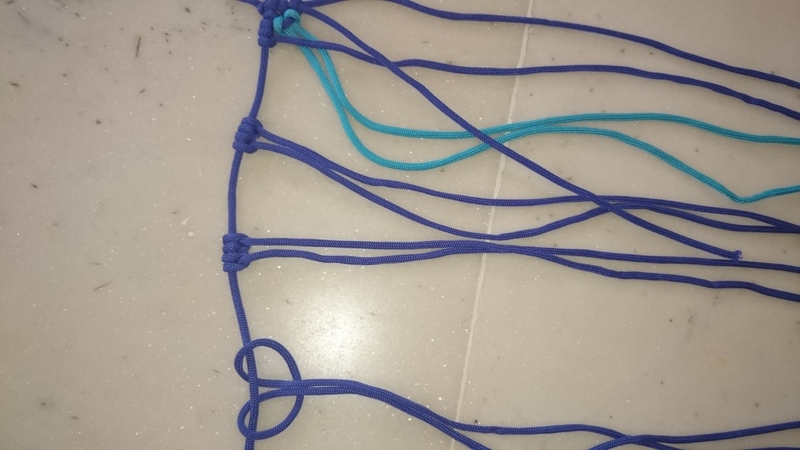 Repeat the same for the remaining 3 dark blue cord as shown in the images below. 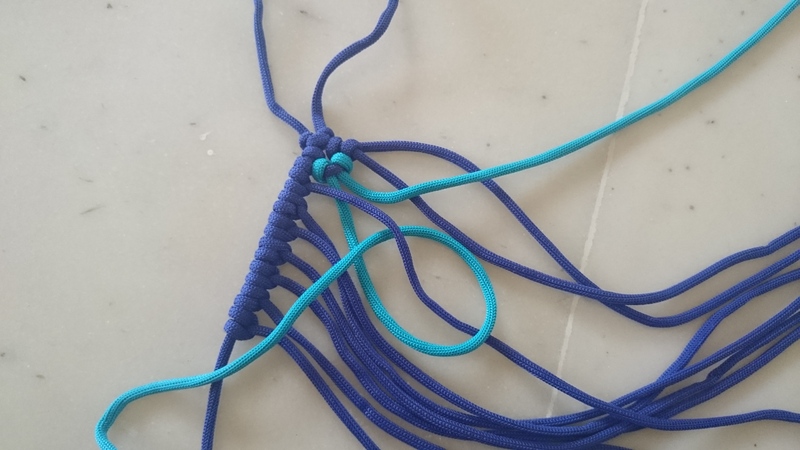 Now make similar knots on these horizontal threads using the light blue and white paracords. 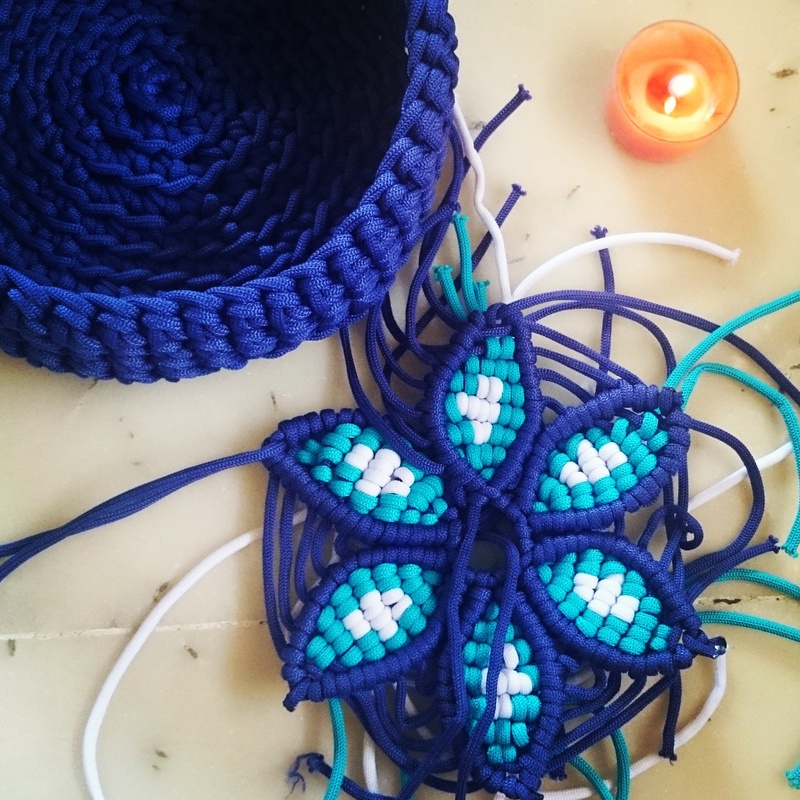 Similarly make other petals, and trim and seal the excess using fire or super glue. It gets quite tricky with this part. 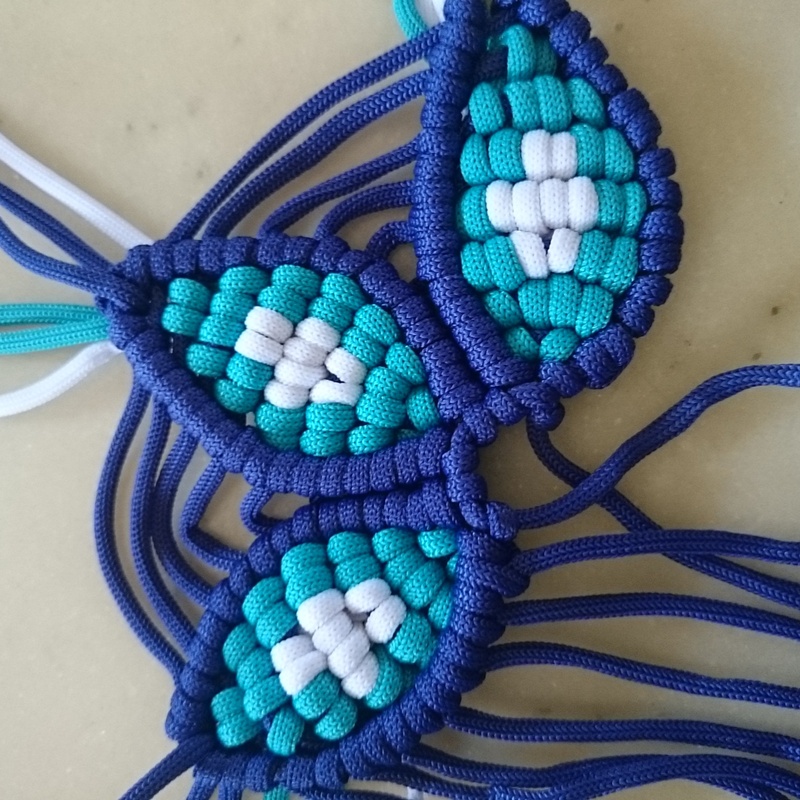 You may notice parallel lines in between the petals, if you wish you may fill them or leave it as such. 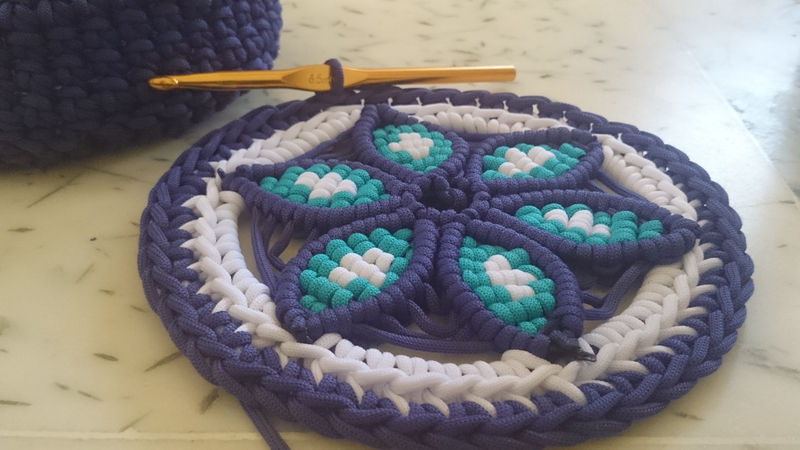 I’ve started to crochet around the last line working around the flower using a white paracord. 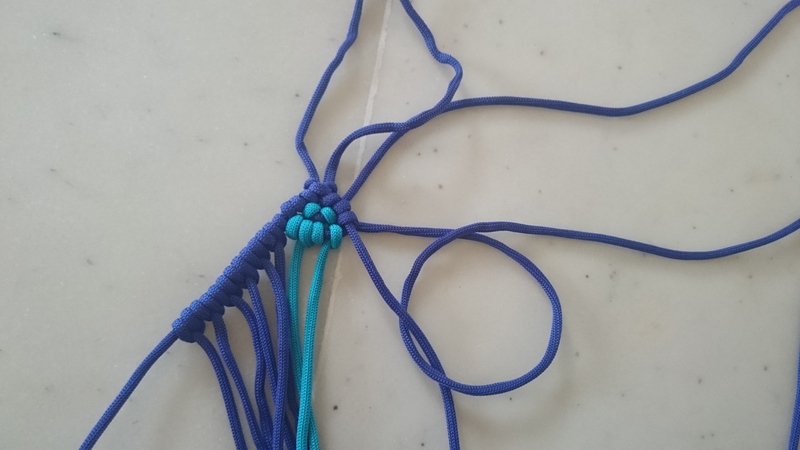 Round 2: Using the blue cord, sc around the previous round.